The use of olive oil for therapeutical purposes was already known since 4000 BC. Hippocrates, the father of Medicine, describes it as the “perfect medicine”. In his saved works, more than 60 pharmaceutical and medical ways to use olive oil are described, inclusive of skin problems, muscle pains, therapy against ulcer and cholera, mouth and gum inflammation, insomnia, nausea, fever and stomach pains. Pedanius Dioscorides calls olive oil “perfect to use for health”. He mentions numerous therapeutic qualities against herpes and mouth ulcer. He also states that the oil won from wild olive trees is styptic and beneficial against headaches. The olive tree fruit is a nutritional treasure, the base of Mediterranean nutrition; it is an integral part of Greek and Corfiot cuisine. The olive fruit provides the human body with with vegetable fibres and metals. It is also considered to be the source of vitamin E, which is a natural antioxidant. The EU Commission Regulation No 432/2012 of 16 May 2012, established a list of permitted health claims made on foods, which classified the various types of olive oil in categories and designated the oils with health protecting features since they contain highly concentrated polyphenols against oxidation of blood lipids. The Dafnis family, a pioneer in this sector, was the first in the world who produced in the year 2013 olive oil registered with health claim. 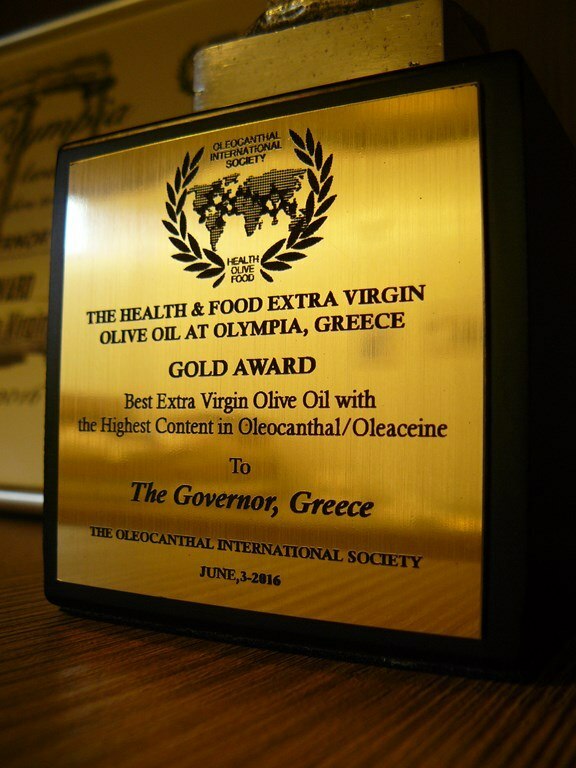 It was GOVERNOR, the first monovarietal olive oil from the “lianolia” variety that grows in Corfu. GOVERNOR is one of the fewest olive oils on a global level that has been awarded a “health claim” that contains a high percentage of polyphenols, much higher than the one predicted by the law for a product to receive a health claim. Our olive oil takes part in many experiments and analyses against the Alzheimer’s disease, which are carried out at the University of Louisiana in Monroe, USA. We also cooperate with Mr. Prokopios Magiatis, Assistant Professor at the National and Kapodistrian University of Athens, and his team at the Faculty of Pharmacy, Department of Pharmacognosy and Chemistry of Natural Products.